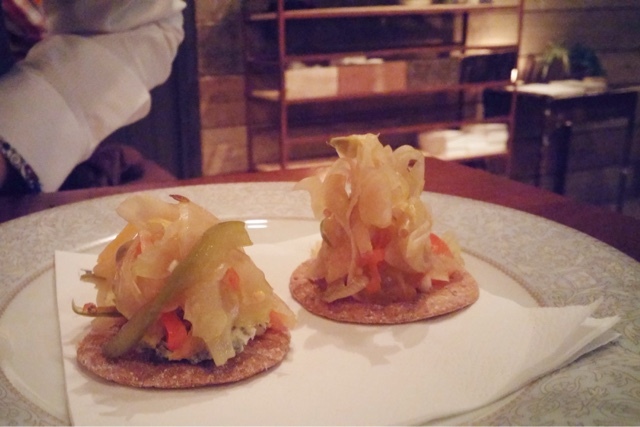 Blacklock, London | ivy eats again. It is forgiven that there is a day all you want to do is eat meat, big chunks of it. What do you do? Find a place that serves a pile high of meat. 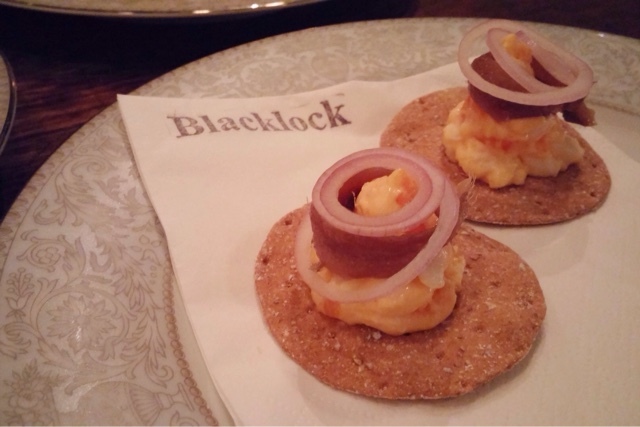 And ta-da, you will soon find yourself arriving at Blacklock in Soho. 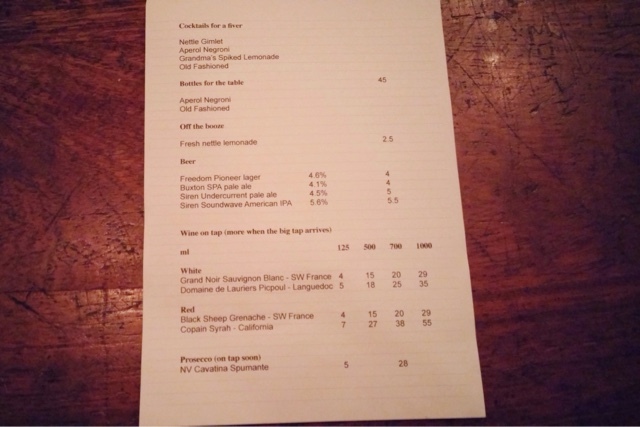 Set up by a chap called Gordon Ker, an ex-Hawksmoor staff. Blacklock must know their meats, right? 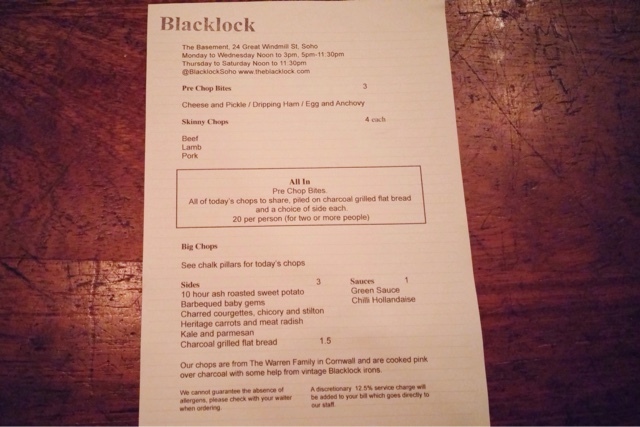 The menu is rather simple, after all Blacklock is specialised in "skinny chops". With an all-in option that includes pre-chop bites, all the cut of chops piled on charcoal-grilled flat bread and a side each for a mere of £20 per person. 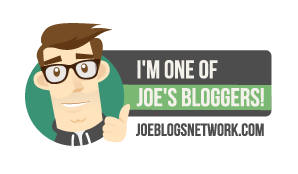 It's a no brainer. All cocktails are £5, the temptation to get drunk before the food arrive was very easily resisted. "Aperol Negroni" and "Grandma's Spiked Lemonade" was fairly average. The nibbles was just a start to prepare for the arrival of the main event. Never the less, it has a strong flavour combinations and very tasty. My favourite was the egg and anchovy. The showmanship, a pile of meaty chops. The meat also sits over pieces of flatbread soaking up all the juices. The flatbread can be a bit oily, but who cares when it's packed will all the meat flavour. The chops included beef short ribs, pork chop, pork belly and lamb chops with 8 pieces to share between 2 people cooked on chargrill giving a smokiness and pressed by an iron to give a crispness to the crust. I liked all the chops, especially beef short ribs. 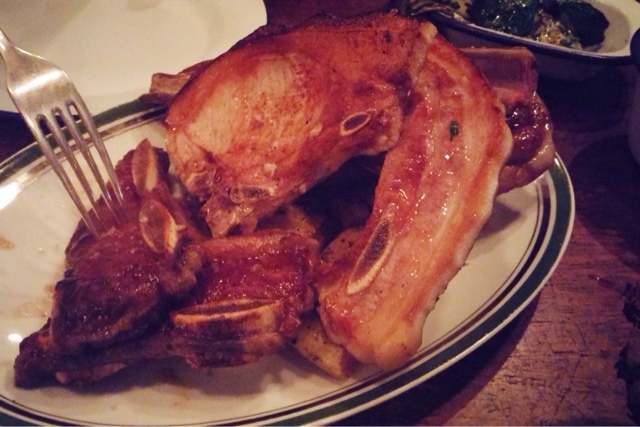 Meat was tender, juicy and succulent beside the pork chop which was a little bit dried. With so many sides to choose, sweet potato sounded too good to be missed. 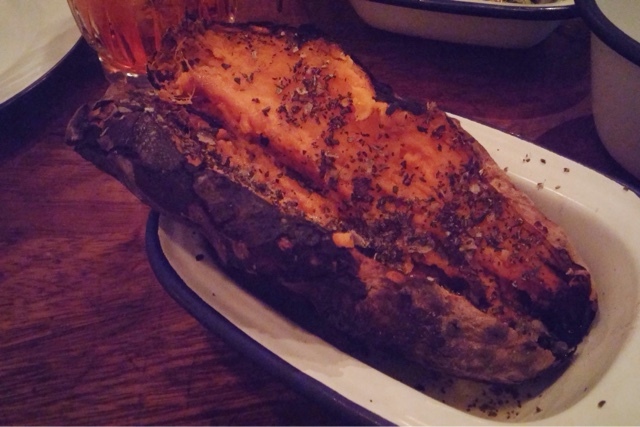 Sweet potato left overnight to sizzle on the grill, absolutely delicious with the charred smokiness flavour. 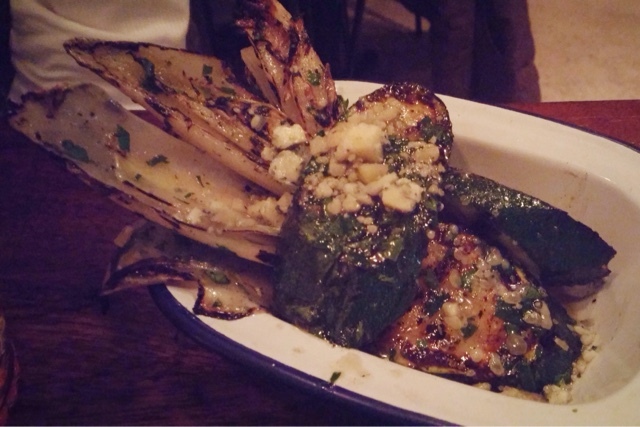 Also very good was the charred courgettes, chicory and Stilton. No hint of bitterness from the vegetables, nicely cooked and the Stilton giving a bit of sweetness to it. We neatly polished everything off the plates with no room left for dessert. I didn't even get to see the daylight of the dessert menu. Not surprising with all the meat overloaded. 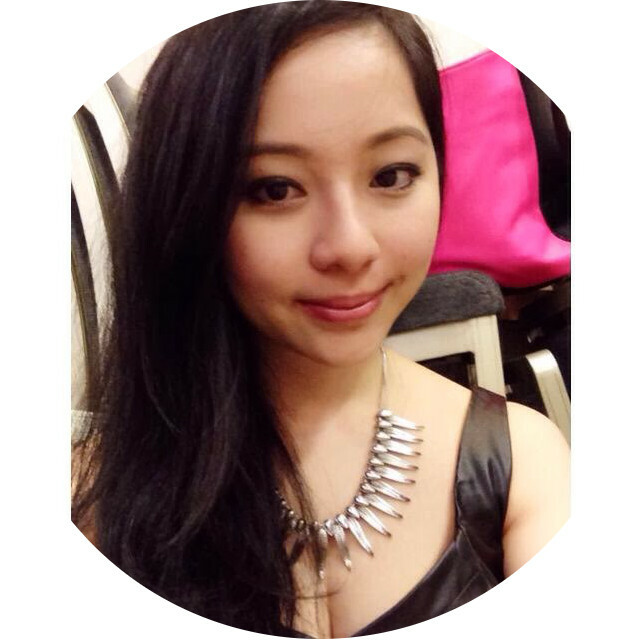 Service was very friendly, causal, attentive and informative. I'm already planning for my next chops, but Mr T has beat me to it returning with friends just over a week of our initial visit. He said the pork chop was cooked better the second time. The only snag is no reservation for dinner, you may want to race to the queue before I do. 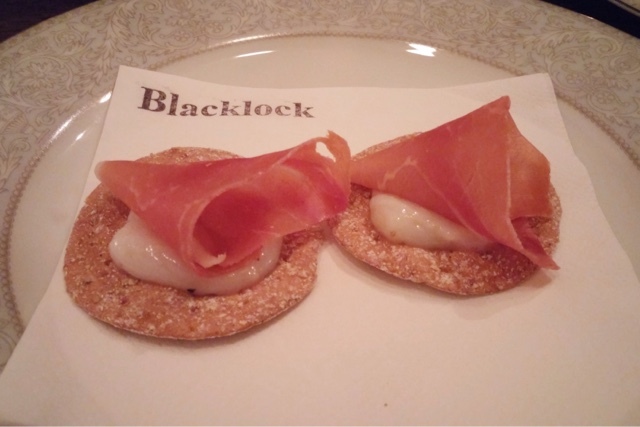 All in all, Blacklock is no steakhouse, it is a chophouse; it is a meat heaven.